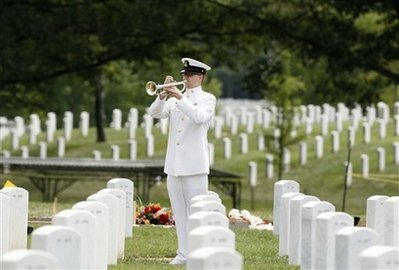 Carrier Air Wing Seven (COW 7) Command Master Chief Jeffrey J. Garber died Saturday, June 20 aboard the deployed aircraft carrier USS Dwight D. Eisenhower (CAN 69). 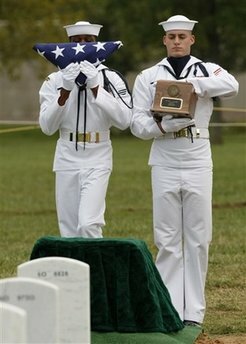 Initial indications are that the death was of natural causes. 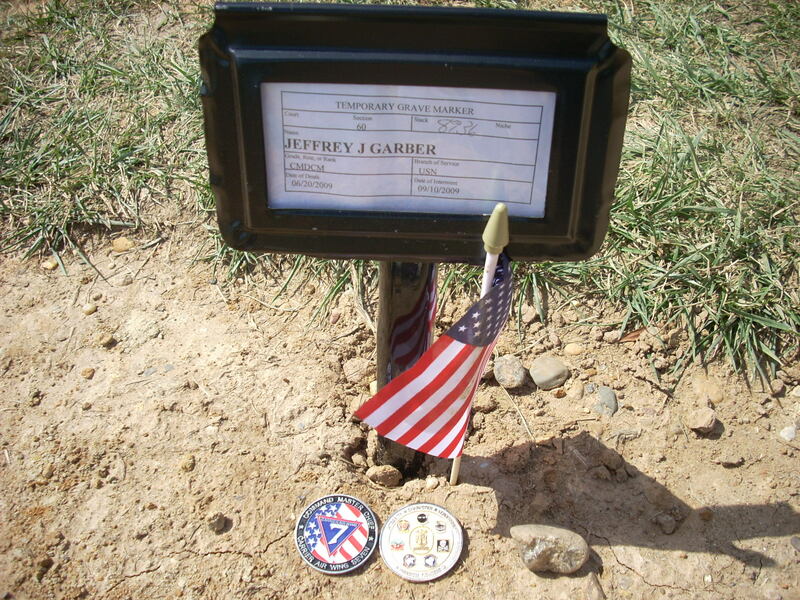 He was 43. 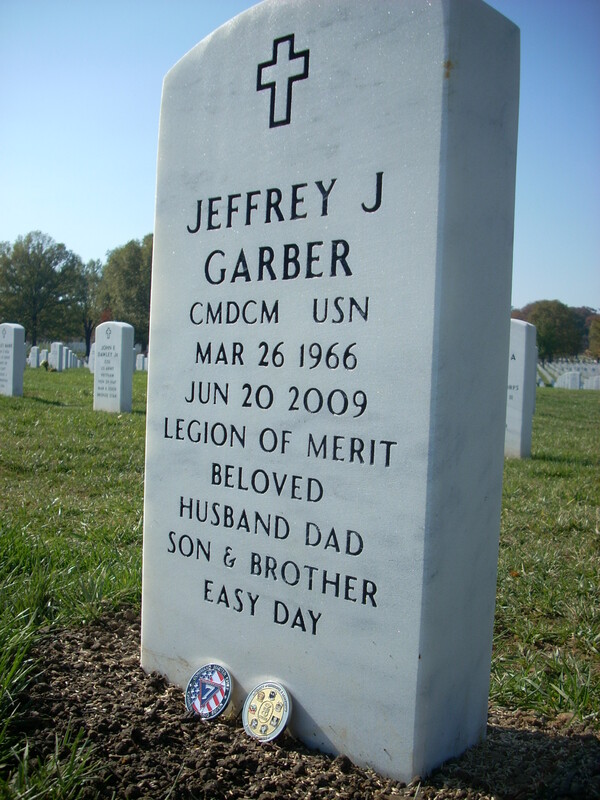 Garber was found unresponsive in his stateroom at approximately 8:15 a.m. A medical emergency was declared, and medical personnel were on the scene within minutes. 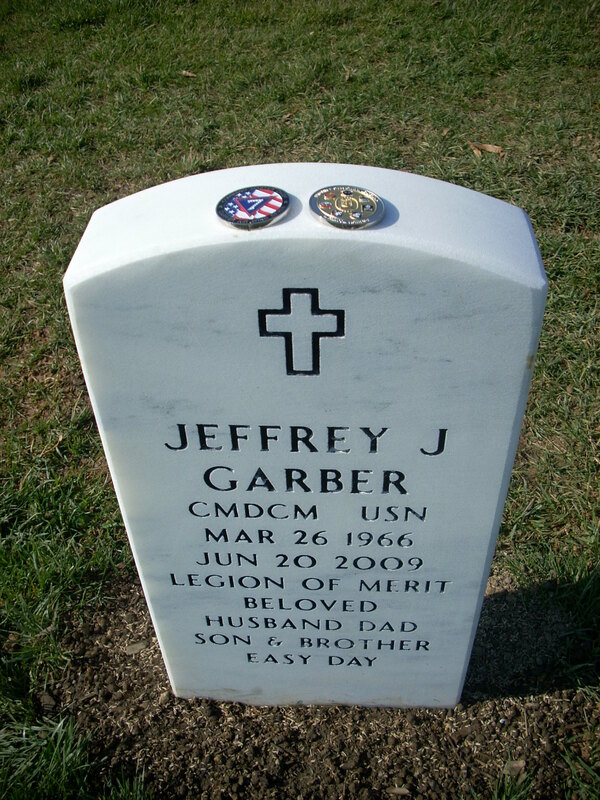 All efforts to revive Garber were unsuccessful, and he was pronounced dead at 8:23 a.m. local time. 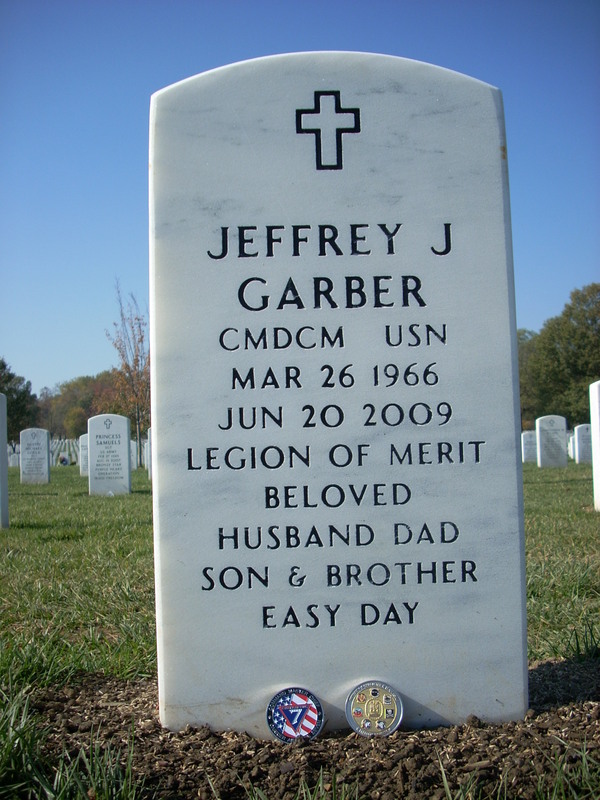 Originally from Hemingford, Nebraska, Garber enlisted in the Navy in December, 1983. 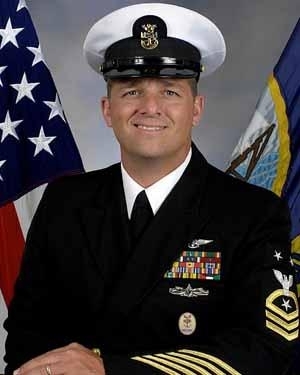 His at-sea assignments included USS Worden (CG 18), USS Nimitz (CAN 68), USS Portland (LSD 37) and Strike Fighter Squadron (VFA 34) where he served as Command Master Chief. 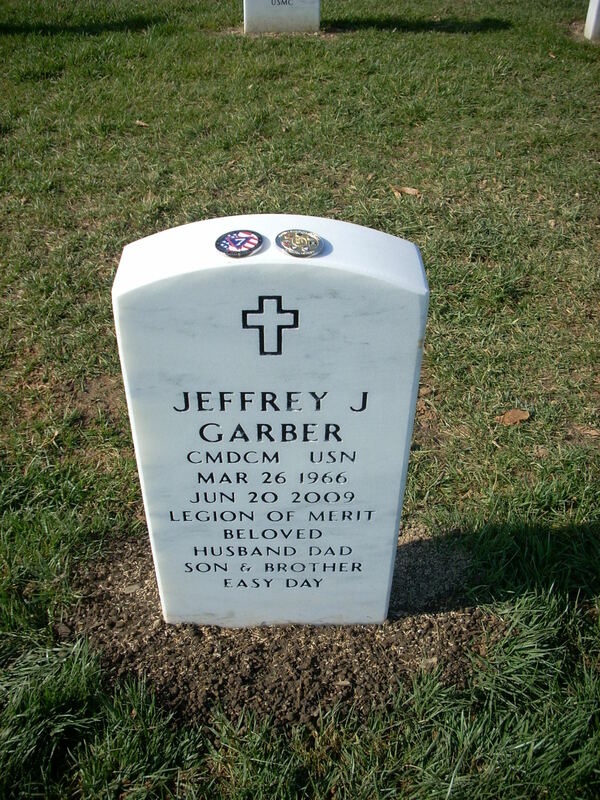 Garber reported to COW 7 based at Naval Air Station Oceana, Virginia Beach, Virginia, in June 2008. 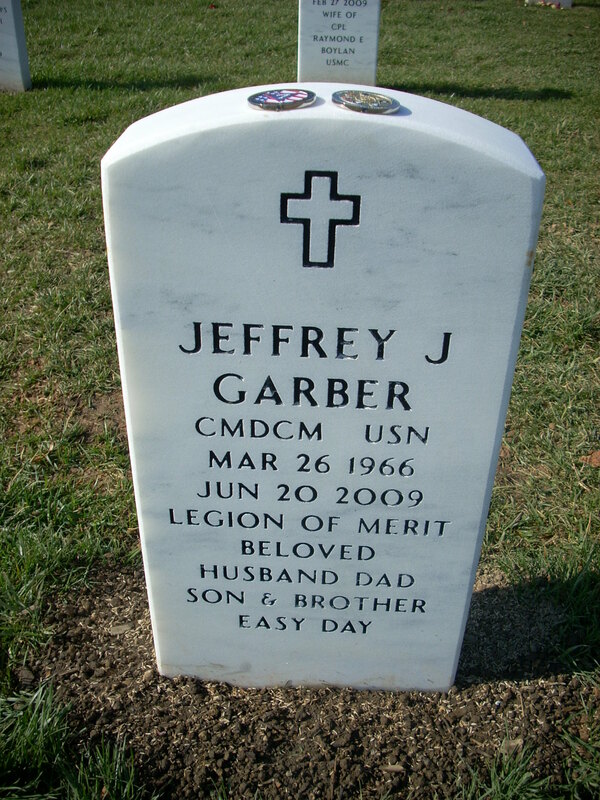 Garber’s military awards include Meritorious Service Medal, Navy/Marine Corps Commendation Medal, Navy/Marine Corps Achievement Medal (6), Meritorious Unit Commendation, Good Conduct Medal (5), Navy Expeditionary Medal, National Defense Service Medal (2), Armed Forces Expeditionary Medal, Southwest Asia Service Medal (2), Sea Service Deployment Ribbon (6), Navy Recruiting Service Ribbon. 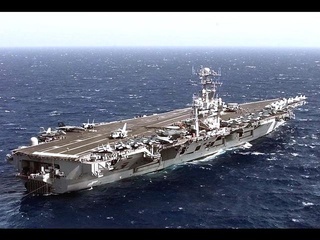 The USS Dwight D. Eisenhower is operating in the Arabian Sea as part of a regularly-scheduled deployment to the U.S. 5th Fleet area of operations in support of Operation Enduring Freedom and maritime security operations. 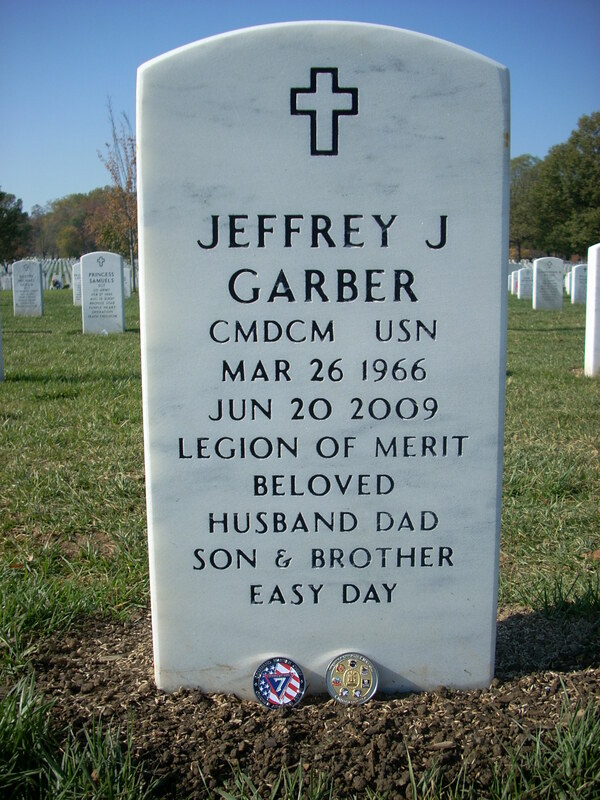 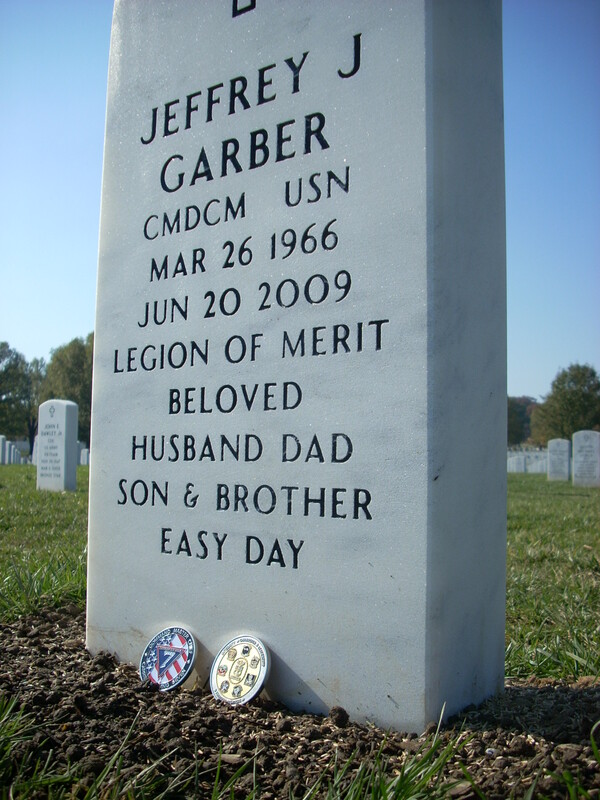 Services for Garber will take place on Saturday, June 27, 2009, at 1 p.m. in Virginia Beach, Virginia. 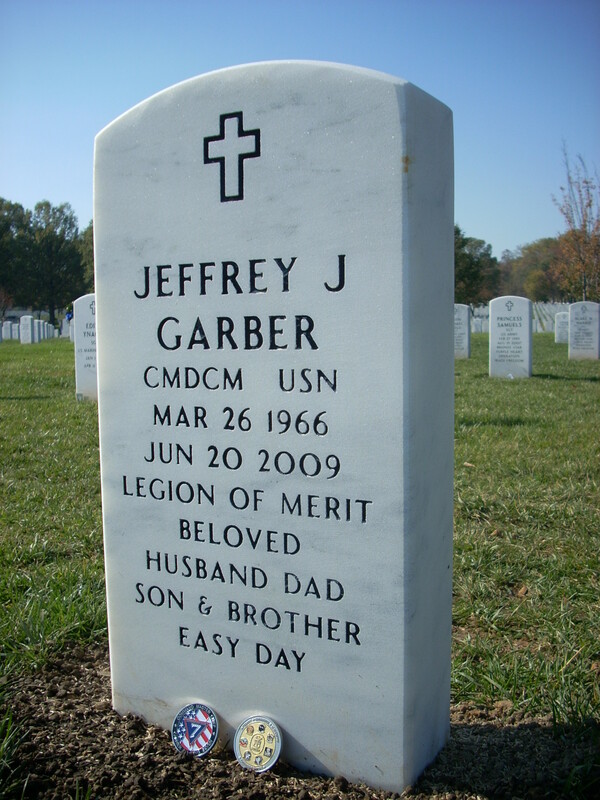 Interment of his cremains in a columbarium at Arlington National Cemetery will take place at a later date. 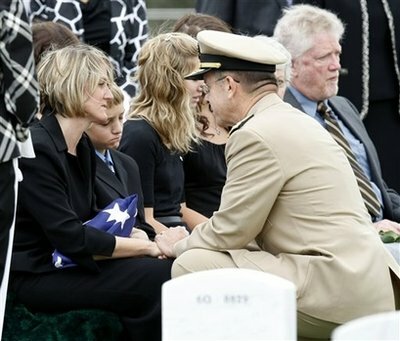 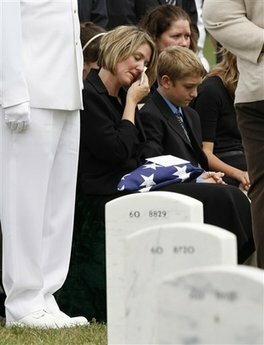 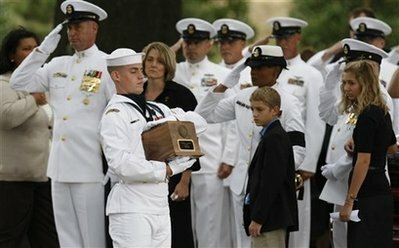 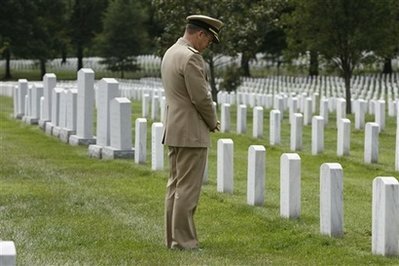 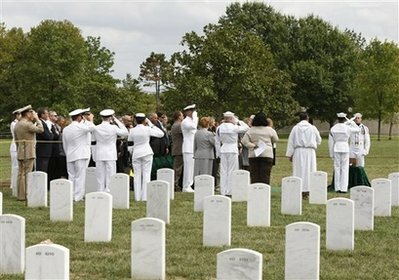 Joint Chiefs Chairman Admiral Michael Mullen looks at a headstone before a burial service of U.S.